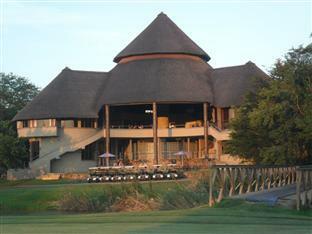 ﻿ Nkonyeni Lodge & Golf Estate Manzini. JIMAT di Agoda.com! Sama ada anda melancong atau ke luar kawasan kerana kerja, Nkonyeni Lodge & Golf Estate Hotel merupakan pilihan penginapan hebat ketika melawat Manzini. Dari sini, tetamu boleh menikmati akses mudah kepada semua yang bandar meriah ini boleh tawarkan. Dengan lokasi yang mudah, hotel ini memberikan akses mudah ke tempat yang anda perlu lawati di bandar. Di Nkonyeni Lodge & Golf Estate Hotel, perkhidmatan yang cemerlang dan kemudahan yang unggul menjadikan penginapan anda tidak dapat dilupakan. Hotel ini menawarkan pemindahan dari/ke lapangan terbang, kemudahan mesyuarat , pusat perniagaan, bilik keluarga, kemudahan BBQ untuk memastikan tetamu menikmati keselesaan yang terbaik. Semua penginapan bagi tetamu menawarkan kemudahan yang difikirkan dengan teliti bagi memastikan rasa selesa yang sukar ditandingi. Hotel ini menyediakan kemudahan rekreasi yang baik seperti pusat kecergasan, padang golf (dalam jarak 3 km) , kolam renang luar, memancing, spa untuk membuat penginapan anda benar-benar tidak dapat dilupakan. Kemudahan yang hebat dan lokasi yang sangat baik membuatkan Nkonyeni Lodge & Golf Estate Hotel menjadi asas yang sempurna untuk menikmati penginapan anda di Manzini. The horrible part was the drive from the border after dark, not so scary during the day. Everything else was great: the Manager Aubrey- fantastic; the rest of the staff very friendly and courteous; the Steak super tender and cheap; the golf course very challenging! The Wifi is only in reception but the reception has a great view of the 18th! Keep up the good work and friendly stuff. I have stayed here before, and again it was pleasant and peaceful. The room however is in need of some maintenance and proper cleaning, which was a bit disappointing. Setting and views magnificent, Golf facilities world class, staff helpful and friendly. Stay was very good and we would not hesitate to recommend it to family and friends, we would also be very happy to stay with you again. Very happy with the room. Restaurant has free WiFi which was a blessing, as this was a business trip. Will be staying here again. The hotel was decent, reasonably clean and had friendly staff. The luxury chalet that we stayed in was not properly furnished and was not quite as shown in the picture. The outdoor spa faces the walkway in full visibility of other guests and is not in any way private. We just spend a night in the hotel, and the hotel is beautiful, but i was travelling with my mom and grand mother, and she is on a wheelchair. the hotel is not prepared for that. too much steps and no ramp. We booked a room with river view, which was obstructed by a lot of vegetation and also requested by a twin bed for the room with my mom and grand mother and they gave a double bed. Hospitality of staff, value for money, beautiful location. We loved our stay at this hotel, and would definitely recommend it to other travellers. We arrived very late on our first night (10pm), and the staff still offered to have some food sent to our room. No complaints whatsoever, great place with great people. Trip to Swazi was an easy one to make, since we are living in Mozambique (or could be RSA). The choice of the Nkonyeni Lodge was rather spontaneous. (not much information was available). Upon arrival we were pleasantly surprised with this golf resort. (none of us ever played golf before :)). The accommodation was spacious and very well made. House with a private garage for the car, big veranda, all rooms had a private bathroom, good kitchen with everything you need... and.... although tiny, but even a private swimming pool outside the "vila". The view was spectacular as well: green grass, golf carts, mountains, river, birds - natural calmness and harmony... Moreover, ladies could use SPA facilities on-site. Definitely advisable! p.s. Thanks to reservation made via Agoda.com Good rates. All worked out as it should. Anlage liegt rund 25 KM von der Stadt Manzini entfernt "in the middle of nowhere". Chalets am Golfplatz, aber total eingewachsen ohne Blick. Häuser in die Jahre gekommen und lieblos möbliert. Zugehöriges Restaurant wie dem "real existierenden Sozialismus" entsprungen: auf Golfstil getrimmte Plastikeinrichtung, überforderter und lustloser Service; wegen eines angebotenen Buffets war die Küche ansonsten geschlossen. Kein Telefonnetz, Wifi nur an der Rezeption. Auch wenn man das Preis-Leistungsverhältnis beachten muß, macht die Anlage trotz gepflegter Grüns einen trostlosen Eindruck. Drum herum ist NICHTS. Schönes Zimmer. Direkte Lage am Fluss. Geflegtes Golfresort. Restaurant bis 18:00 Uhr nur geöffnet und kaum Alternativen in der Umgebung. Grote golfbaan, groot hotel en mooi gelegen. We vonden het een mooi hotel met een groot scala van activiteiten maar voor ons veelste afgelegen. De havde ikke modtaget vores reservation og ej heller fået betaling herfor, til trods for at vi har betalt i Juni 2012. Maden i restauranten er det dårligste måltid vi har fået på vores 3 ugers rundrejse. Det er absolut ikke et sted vi vil anbefale til nogen som helt.